You deserve a great smile! As a Bioesthetic dentist, Dr. Turk performs general, preventive, cosmetic, and restorative therapies to create smiles that look and feel fantastic. He'll treat your entire mouth to optimize oral health and deliver a beautiful, natural-looking smile. We offer deluxe amenities and will use state-of-the-art technology to make your visit pleasant, positive, and successful. Our entire team cares about you and your wellbeing and will conscientiously attend to your needs. We'll always explain options for care, and you can learn more about our recommendations by watching short Patient Education videos in the office. If you suffer from dental anxiety, ask us how sedation dentistry can alleviate your fears and let you receive the care you need for the smile you deserve. Call today to schedule your appointment with Dr. Turk, a Bioesthetic dentist who cares about your smile. 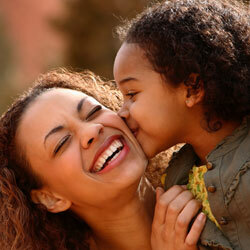 Distinctive Smiles provides quality care and exceptional service to residents of Orange County and surrounding areas.